Pub Theo happened earlier in the week. We tried yet another location, this time The Cricketers in Gillingham, which seemed to work quite well. Bonus’ were a great oval table to sit around so we could hear each other, really good food with a good menu and, most importantly of all of course, Spitfire on tap! The discussion rambled a little from the new Pope and the Falkland Islands, which led into a church and politics debate, as in should the church stay out of politics. We also wondered a little about a starter question I set … why is the media so interested in religion if religion is apparently dead (in light of coverage of the pope, the coverage of the Archbishop, and the bishops letter to the telegraph). I’m not sure we got very far with that question. I love meeting with this group, we have become friends and it’s good just to chat. i think we have covered a lot of theology over the last 12-18 months and wonder if it is becoming increasingly more difficult to talk about things as we seem to have chatted a bout a lot. Are there only a limited number of questions or, more probably, do most questions come under the overarching themes of pain, war, existence of God, sexuality etc.? Maybe thats a pub theo question … but anyway … we meet again at the end of April … so Monday April 29th at The Cricketers … why not join us! 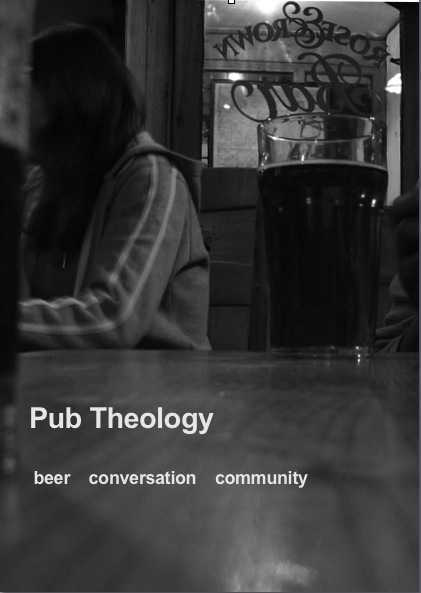 This entry was posted in pub theology by robryan65. Bookmark the permalink.